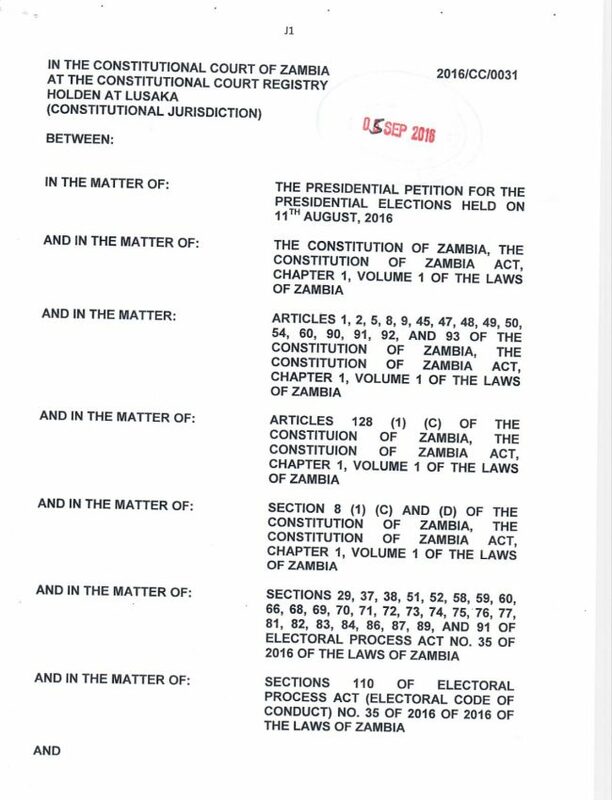 This is the dissenting judgment in the presidential petition. Dissenting judgment simply means that some judges did not agree with the final judgment but the majority ‘wins’. 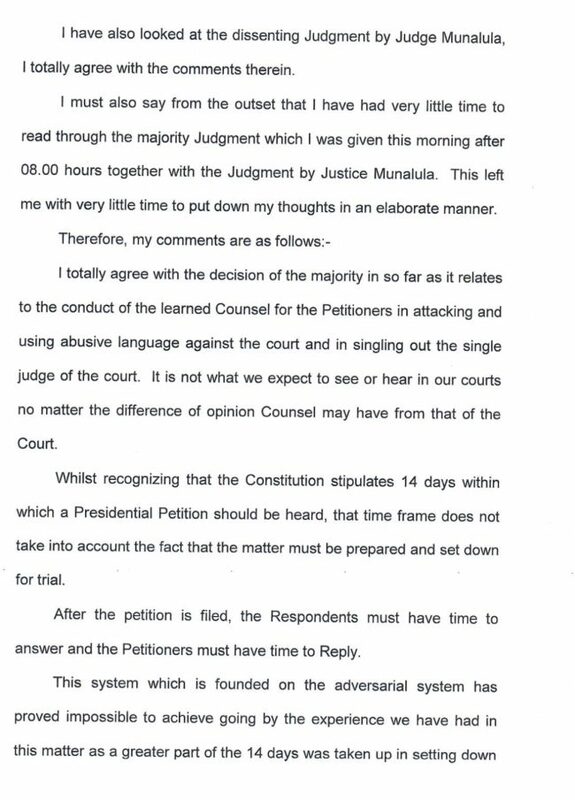 In the dissenting judgement president of the constitutional court judge Hilda Chibomba says she was sad that the presidential petition was not decided on merit. She says the 14 days stipulated in the constitution is a serious anomaly as it does not take into account time for preparing evidence. She says the right to be heard in court is a fundamental right. 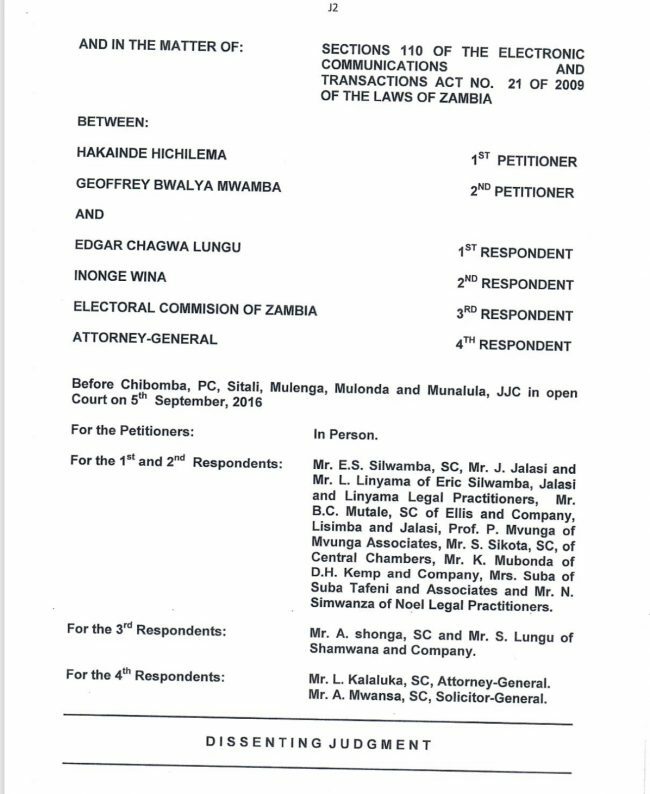 As things stand, the presidential petition was not heard.